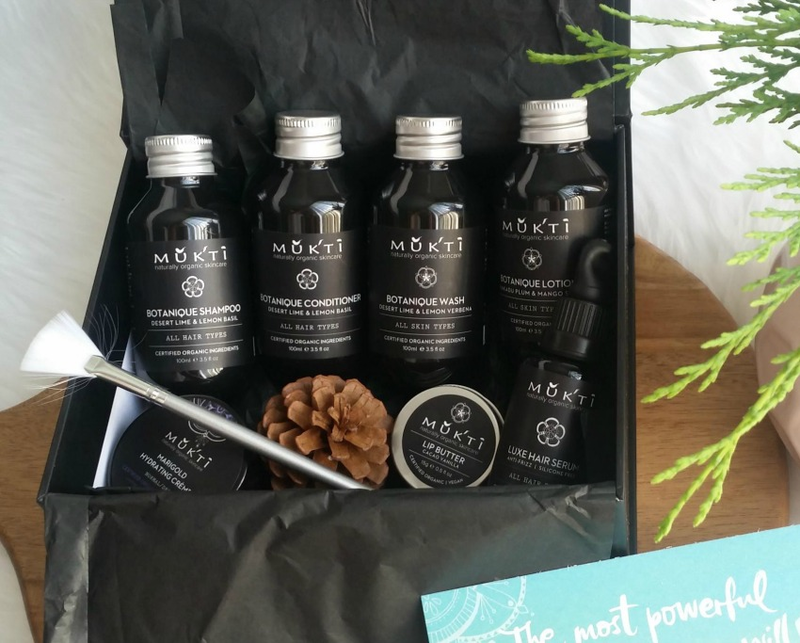 Mukti Organic Skincare is one of the best quality Australian skincare ranges I have come across. 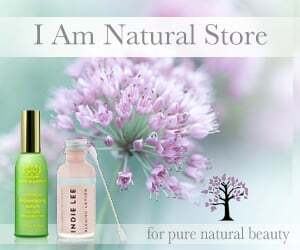 It is rich and decadent while caring for your skin, body and hair in a way that truly enhances natural beauty. Botanique Shampoo and Conditioner: I have only tried a handful of non-toxic shampoo and conditioners but this is by far the best I have tried for my hair type. My hair is curly, and at times, an unruly mane! This is such a great combination of cleansing and moisturizing for your hair. I have always had issues trying to find a shampoo and conditioner that is dense enough to control and weigh down my curls as the fuzz can be beyond this world, so I found the transition to non-toxic hair care the hardest. The Mukti shampoo is slightly foaming which I like (some non-toxic brands don't foam which is fine but I never feel like my hair is clean enough....slightly OCD I know), it does leave your hair feeling squeaky clean and in need of conditioning.....ENTER MUKTI CONDITIONER...this stuff is really great. It is what keeps my hair under control. The true test for me is the next day once my hair has dried and its potential for boof is at its absolute peak. NO BOOF! NO FUZZ! NO FRIZZ! Just lovely controlled shiny curls (I did use some of the Mukti Hair Serum which you can find information on below). Botanique Shampoo (Desert Lime & Lemon Basil) - Aloe Barbadensis Leaf Juice*, Decyl Glucoside, Coco Glucoside, Aqueous Extracts of Fucus Vesiculosus (Bladderwrack)*, Calendula Officinalis (Calendula)*, Chamomilla Recutita (Chamomile)*, Ginkgo Biloba Leaf*, Equisetum Arvense (Horsetail)*, Urtica Dioica (Nettle)*, Trifolium Pratense (Red Clover)*, Rosmarinus Officinalis (Rosemary)*, Salvia Officinalis (Sage)*, Achillea Millefolium (Yarrow)*, Simmondsia Chinensis (Jojoba) Seed Oil*, Tocopherol (Vitamin E), Glycerin, Sodium Levulinate, Sodium Anisate, Sodium Chloride (Salt), Citric Acid, Citrus Aurantifolia (Lime), Citrus Aurantium Dulcis (Orange), Citrus Medica Limonum (Lemon), Ocimum Basillicum (Basil), Mentha Arvensis (Wild Mint), Cedrus Atlantica (Cedarwood), Salvia Sclarea (Clary Sage), Pinus Sylvestris (Pine), Eucalyptus Citriodora (Lemon Eucalyptus). Botanique Conditioner (Desert Lime and Lemon Basil)- Aloe Barbadensis Leaf Juice*, Aqueous Extracts of Chamomilla Recutita (Chamomile)*, Calendula Officinalis (Calendula)*, Tilia Cordata (Lime) Flower*, Glycerin (Vegetarian)*, Cetearyl Alcohol, Soy Protein (Non GMO), Argania Spinosa (Argan) Kernal Oil*, Glyceryl Stearate, Glycerin, Sodium Levulinate, Sodium Anisate, Citrus Aurantifolia (Lime), Citrus Aurantium Dulcis (Orange), Citrus Medica Limonum (Lemon), Ocimum Basillicum (Basil), Mentha Arvensis (Wild Mint), Cedrus Atlantica (Cedarwood), Salvia Sclarea (Clary Sage), Pinus Sylvestris (Pine), Eucalyptus Citriodora (Lemon Eucalyptus). Accredited organic processor #0484. Made with organic. The first time I used this hair serum I over applied and woke with hair that resembled Danny Zuko from Grease. It was greasy looking but so damn soft I couldn’t bring myself to wash it straight away. It didn’t feel greasy but just looked it. So I held back and the result….perfection. This Luxe Hair Serum is exactly that…luxe! My hair is beyond soft…it is almost melting off my head and ridiculously shiny, I have never in my entire life had hair this soft or shiny, even despite going to hairdressers for many years. It has no frizz, no boof, it is controlled and defined curls and soooo easy to put up. I adore this product and will definitely be purchasing in the future! 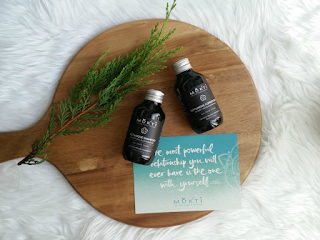 Luxe Hair Serum- Isoamyl Laurate, Plukenetia Volubilis Seed Oil, Argania Spinosa (Argan) Kernal Oil*, Moringa Oleifera (Moringa) Seed Oil*, Citrus Aurantifolia (Lime), Citrus Aurantium Dulcis (Orange), Citrus Medica Limonum (Lemon), Ocimum Basillicum (Basil), Mentha Arvensis (Wild Mint), Cedrus Atlantica (Cedarwood), Salvia Sclarea (Clary Sage), Pinus Sylvestris (Pine), Eucalyptus Citriodora (Lemon Eucalyptus). Botanique Body Wash (Desert Lime and Lemon Verbena)- Aloe Barbadensis Leaf Juice*, Fucus Vesiculosus (Bladderwrack)*, Calendula Officinalis (Calendula)*, Chamomilla Recutita (Chamomile)*, Ginkgo Biloba Leaf*, Equisetum Arvense (Horsetail)*, Urtica Dioica (Nettle)*, Trifolium Pratense (Red Clover)*, Rosmarinus Officinalis (Rosemary)*, Salvia Officinalis (Sage)*, Achillea Millefolium (Yarrow)* Extracts, Coco Glucoside, Decyl Glucoside, Xanthan Gum, Sodium Levulinate, Sodium Anisate, Citrus Aurantifolia (Lime)*, Litsea Cubeba (Lemon Verbena), Sodium Chloride (Salt), Citric Acid. Botanique Body Lotion: welllll hello silk in a bottle. This is one of the most beautiful body lotions I've ever used. It has such a beautiful scent (Kakadu Plum and Mango Seed), light feel; it is easily absorbed and has amazingly soft results. I love it and will NEVER break up with this product. It has such a luxurious feel to it. There really is nothing more to say other than you need to have this in your spa collection! Botanique Body Lotion- Aloe Barbadensis Leaf Juice*, Macadamia Ternifolia (Macadamia) Nut Oil*, Butyrospermum Parkii (Shea) Nut Butter*, Cocos Nucifera (Coconut) Oil*, Terminalia Ferdinandiana (Kakadu Plum)*, Davidsonia Pruriens (Davidson Plum)*, Callitris Endicheri (Blue Cypress) Seed*, Mangifera Indica (Mango) Seed Extracts*, Cetearyl Glucoside (Vegetarian), Theobromo Cacao (Cocoa) Butter*, Glycerin (Vegetarian)*, Phenethyl Alcohol (Natural)*, Sclerotium Gum, Citrus Aurantifolia (Lime)*, Litsea Cubeba (Lemon Verbena). 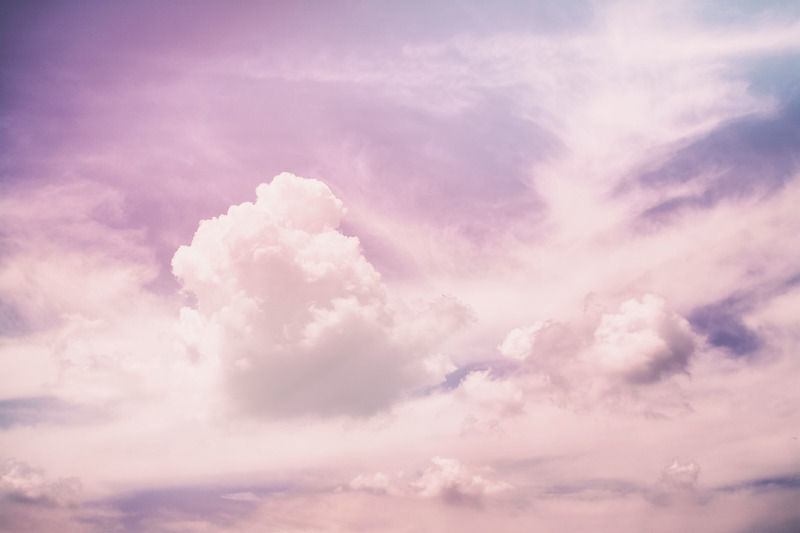 Naturally occurring constituents in essential oils: citral, isoeugenol, linalool. Marigold Hydrating Créme: AMAZING!!!! This is for normal to dry skin and is thick goodness of a product truly does what it says. It hydrates! And smells great! I used this on the areas that need a little extra love such as knees, feet and elbows. 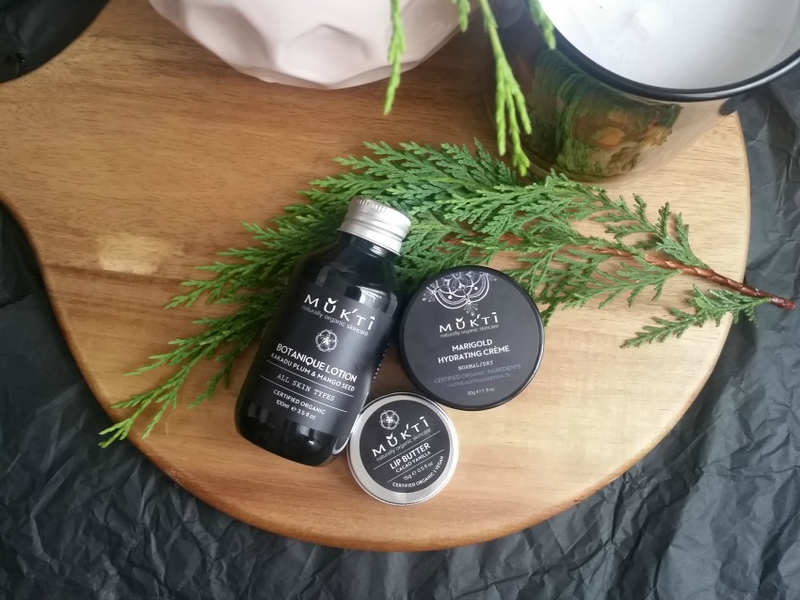 It is gentle on the skin, smooths on easily and absorbs perfectly which makes it worth the purchase as I find many body creams sit on the skin and end up absorbed into my clothing. It truly is such a beautiful thick cream. This cream is for use as a spot treatment for dry areas or for the face, neck and décolletage. It is really gorgeous and I highly recommend it. Marigold Hydrating Crème- Aqua, Calendula Officinalis (Marigold) Extract*, Cocos Nucifera (Coconut) Oil*, Butyrospermum Parkii (Shea Nut) Butter*, Theobroma Cacao (Cocoa) Butter*, Terminalia Ferdinandiana (Kakadu Plum)*, Centaurea Cyanus (Cornflower)*, Salix Alba (Willow Bark) Extracts*, Cetearyl Glucoside (Vegetarian), Centella Asiatica (Gotu Kola)*, Chamomilla Recutita (Chamomile)* Extracts, Citrus Grandis (Grapefruit Seed) Extract, Calendula Officinalis (Marigold) Absolute*, Tocopherol (Vitamin E). 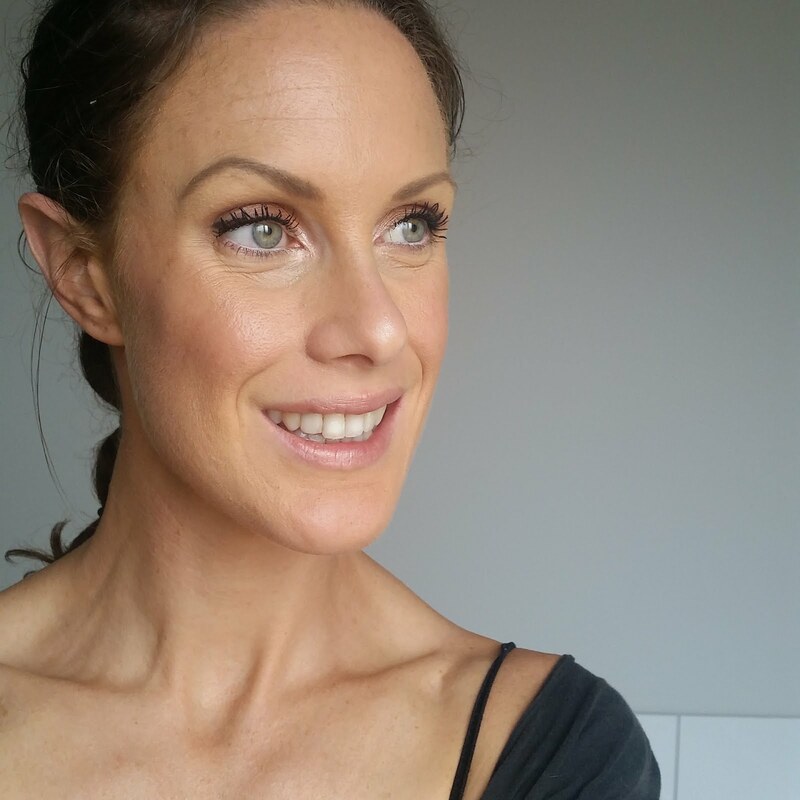 Lip Butter: I'm just going to get straight to the point....it is like a silky slab of gorgeous butter on your lips. I love my lipbalms and with this product, the whole experience begins the moment you place your finger in the tub. It feels ridiculously soft and silky. It smells delicious and is almost like a matte finish which is awesome. I tend to find the glossier lip glosses disappear really quickly on me. The scent is Cacao Vanilla and I literally feel like my lips are in a day spa. It's really lovely. I did however feel like it soaked in fairly quickly but when rubbing my lips together it was still very apparent, quite deceiving but in a good way! Mukti lip balms are vegan, gluten free, palm oil and wheat free. The ingredients list is all 100% natural and recognizable which gets a big fat ✔ from me! So if you're in the market for a great quality lip balm in a pot then here is where I'd look. 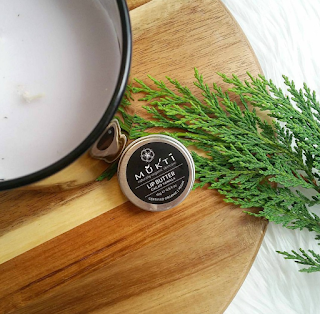 Lip Butter- Olea Europaea (Olive) Butter*, Cocos Nucifera (Coconut) Oil*, Prunus Dulcis (Sweet Almond) Oil*, Persea Gratissima (Avocado) Oil*, Theobroma Cacao (Cocoa) Seed Butter*, Euphorbia Cerifera (Candelilla) Wax, Stevia Rebaudiana (Stevia) Extract*, Tocopherol Acetate (Vitamin E), Vanilla Planifolia Fruit Extract*. 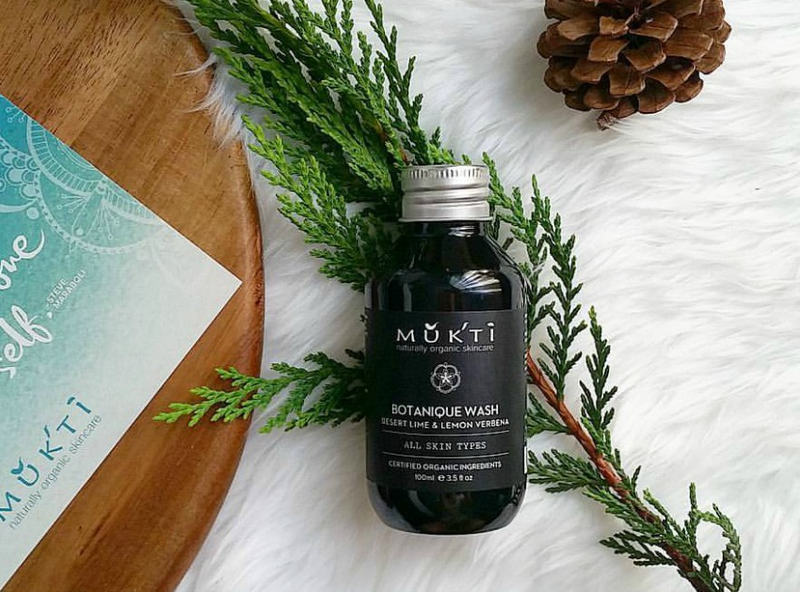 Company Ethos: Mukti was one of the first Australian certified organic brands. They utilise “synergistic blend of bioactive native Australian extracts pertinent to a particular skin type or condition”. Despite being a big company, they still formulate all products in house to ensure full quality control. 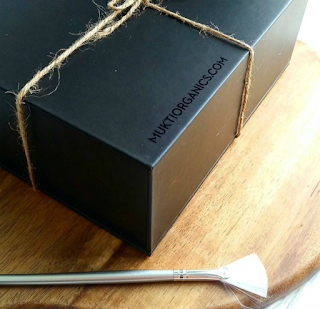 They follow a philosophy involving sustainable, organic and ethical approaches. They produce batches on order and buy fair-trade ingredients wherever possible while avoiding the use of palm oil. 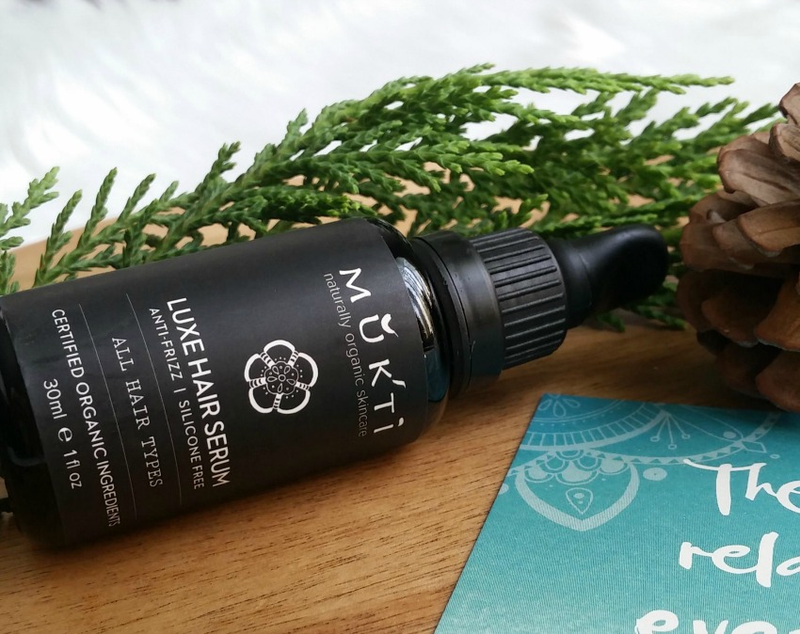 Mukti are vegan, cruelty free, gluten free, certified organic and use bioactive native Australian extracts sourced locally. Price Point: $$ Mukti is middle of the range in comparison to the more exclusive brands such as Tata Harper and Kypris. In my opinion the standard is up there with these brands, and so quite affordable for the quality and care Mukti provides. Suitable for: All products I have reviewed are suitable for All Skin Types and Hair Types, except the Marigold Hydrating Crème which is for Normal / Dry Skin Types. Mukti are struggling to disappoint me, which is a great problem to have. Love these products, highly recommend!